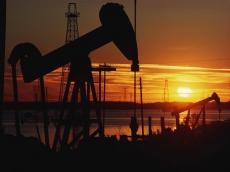 Average price of AZERI LT CIF, extracted at Azerbaijan's Azeri-Chirag-Gunashli block of fields, was $68.21 per barrel on March 11-15, or $1.29 more than the previous week, Trend reports March 16. The highest price of AZERI LT was $68.82 per barrel, while the lowest price was $67.52 per barrel during the period. Average price of URALS (EX-NOVO) was $64.85 per barrel, which is $1.8 more than during the previous week. The highest price for URALS was $65.1 per barrel and the lowest price was $63.98 per barrel on March 11-15. Average price of Brent Dated was $65.91 per barrel on March 11-15 or $1.63 per barrel more than the previous week. The highest price for Brent was $66.28 per barrel and the lowest price was $65.22 during the period. What will be inflation rate in Azerbaijan?